The PAK-A Series power supplies are variable output, switching power supplies that feature excellent electrical characteristics as well as unmatched reliability. This Series offers a wide range of variation with 3 types of voltage. This Series is designed particularly with the concepts of compact size and light weight plus high reliability, and is portable with an improved space factor making them suitable for system mounting. 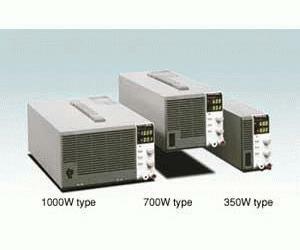 Naturally, these power supplies have a high level of general-purpose applicability on abundant applications, such as computer control, or a system power supply. Especially in case of connecting with the optional power supply controllers, feature of this Series will be expanded as system of programmable power supply.